Caribbean islands are now on the alert for Beryl, a tiny storm which has been upgraded to a hurricane. 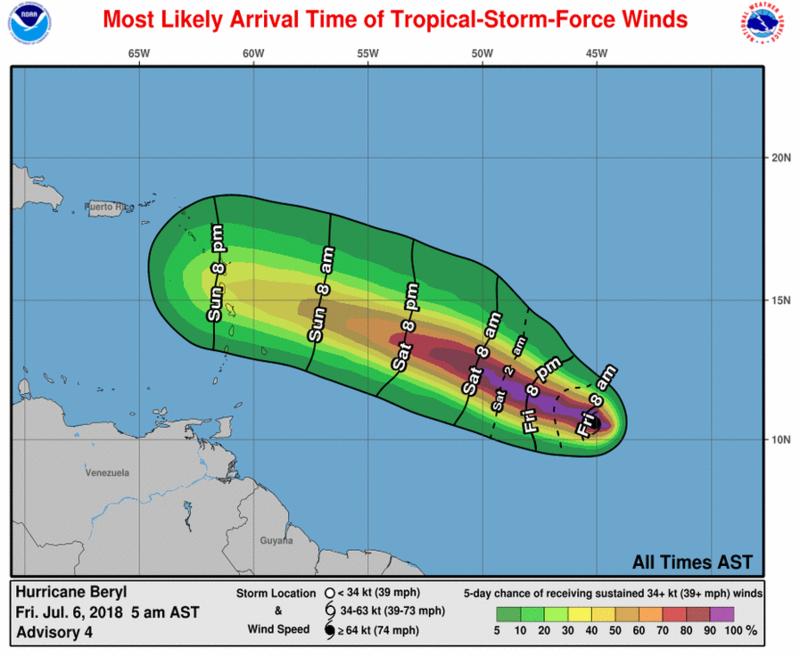 According to the US National Hurricane Center, Beryl is centered as of 5 a.m. AST/EDT about 1140 miles (1830 km) east-southeast of the Lesser Antilles. On the forecast track, the center will remain east of the Lesser Antilles through early Sunday. There are no coastal watches or warnings in effect. Interests in the Lesser Antilles should monitor the progress of Beryl. Satellite data indicate the maximum sustained winds have increased to near 75 mph (120 km/h) with higher gusts. Some additional strengthening is forecast today. Beryl is a very compact hurricane, with hurricane-force winds extending outward up to 10 miles (20 km) from the center and tropical-storm-force winds extending outward up to 35 miles (55 km). 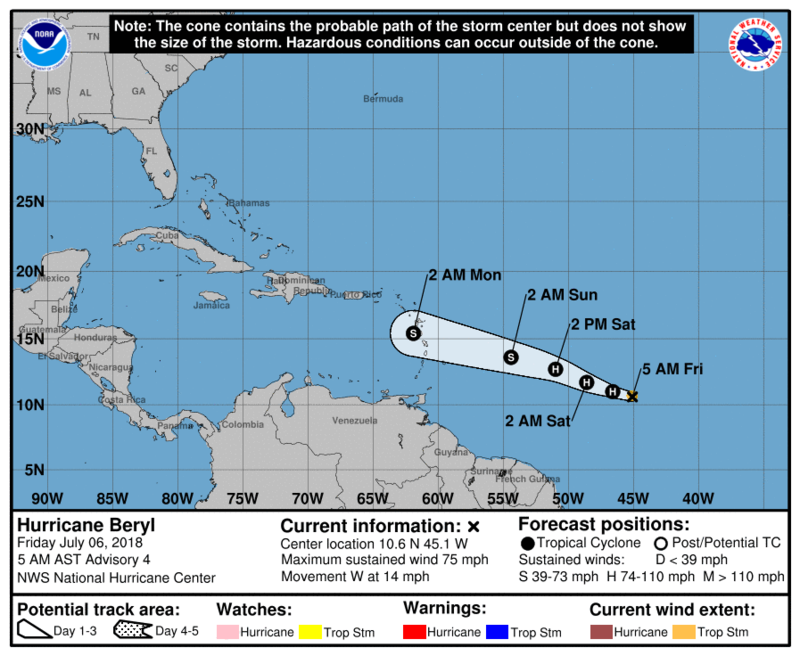 Beryl is forecast to quickly weaken by late Saturday and become a tropical storm or degenerate into a strong open trough near the Lesser Antilles late Sunday or Monday. It is likely to bring strong gusty winds and locally heavy rains to portions of the Lesser Antilles on Sunday and Monday.